Snickers Ice Cream Cake is made with salted caramel ice cream bars, whipped cream & loaded with Snickers candy bars. It’s over the top amazing! Oh my word. 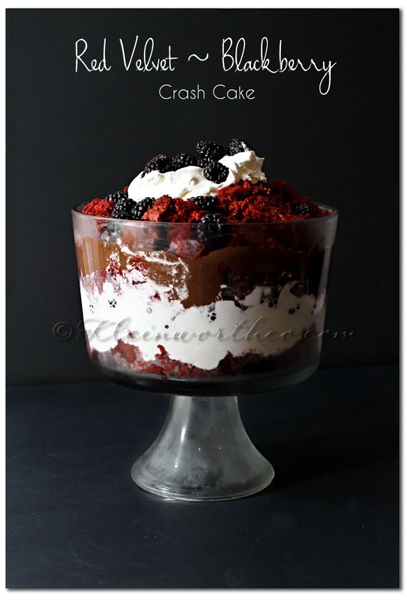 I’m super into creating over the top, decadent dessert recipes. The other day I picked up a ton of ice cream bars, because they were on sale & it was heating up outside. I fully expected to make some sort of insane dessert with them from the start. I put off the family each & every time they begged me to crack open a box. My words- I have a plan for those- put them back. So one day the hubs had the kids working with him on cleaning all the vehicles. It was hot & they were sweating. They really needed a cool down. So I grabbed those boxes of ice cream bars & got to work on this super indulgent Snickers Ice Cream Cake that was absolutely UNREAL! 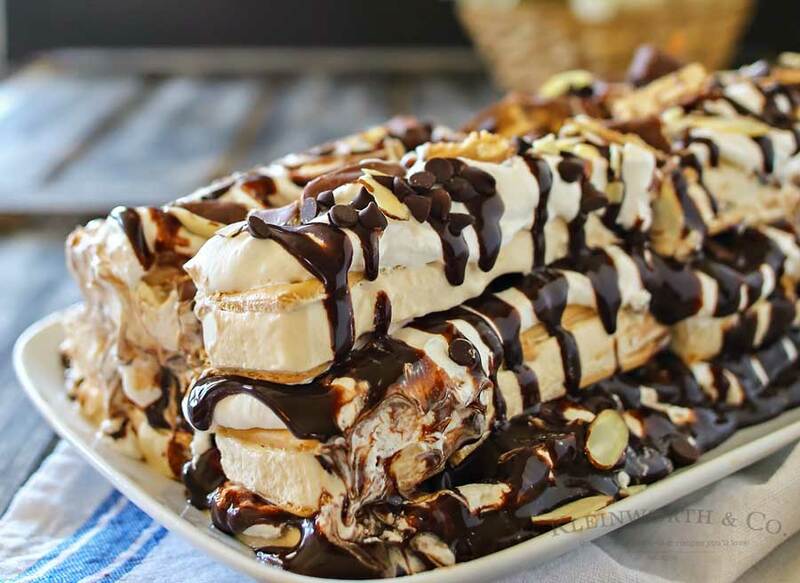 We have salted caramel ice cream bars, layered with whipped topping, chunks of snickers bars & chocolate syrup. There are 3 layers here & then the top has added slivered almonds just to push it on over the edge. I have to say- it was so difficult to photograph this before the whole thing just melted into a puddle of goodness. I snapped as quickly as I could & then we immediately portioned the whole thing out into bowls & let everyone chow down. It was the perfect cool down & was so filling that we pushed dinner back by several hours. We were stuffed. 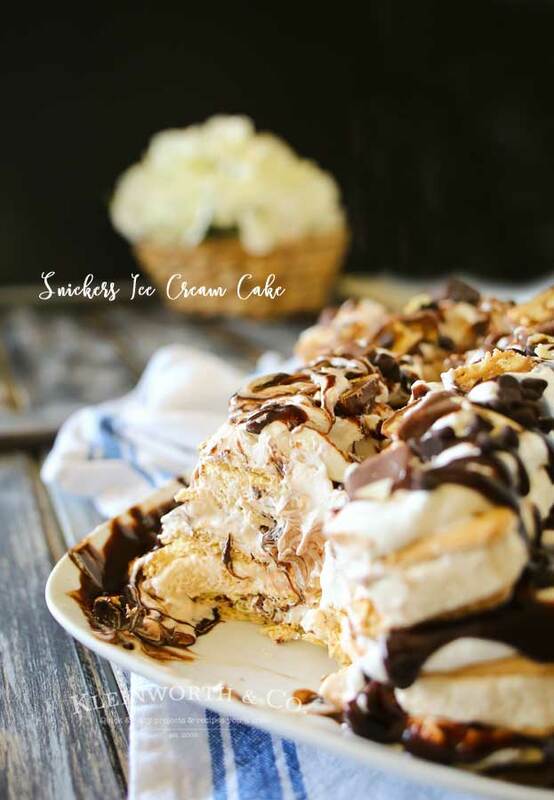 Over the top ice cream sandwich cake to wow your crowd! 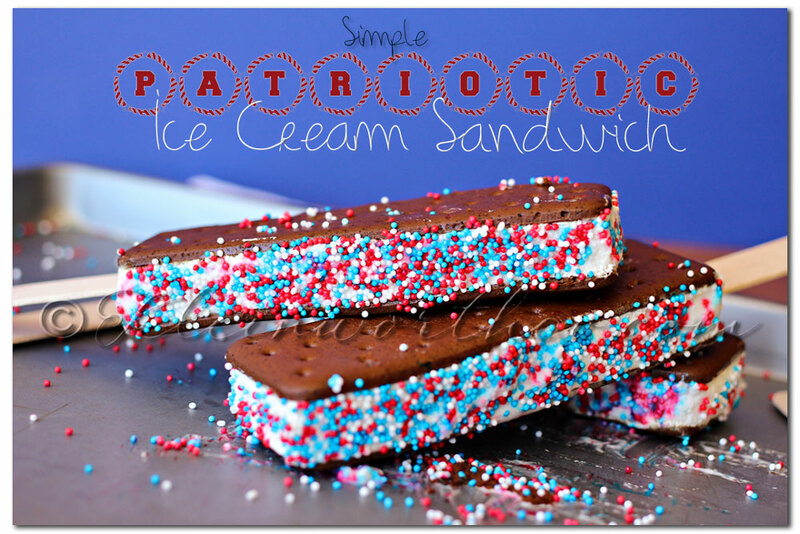 Arrange 4 ice cream sandwiches long sides touching on a flat serving plate. Bottom line- this is a show stopper for sure! So good! 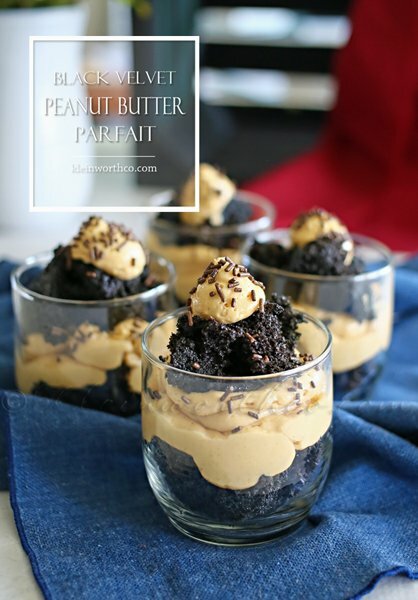 Looking for more great desserts? Don’t miss these! That looks so good! Love how deconstructed it is! How delicious does this look? Amazing! This looks BEYOND amazing! Fabulous treat. 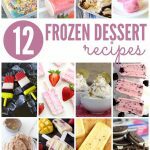 Are you able to share which brand of ice cream bars you used for the recipe? Thanks Liz- I just used the Walmart brand found in the end-cap freezer, but any flavor that strikes your fancy will do. Enjoy! Well doesn’t this look completely amazing!! YUM! This looks absolutely delicious! 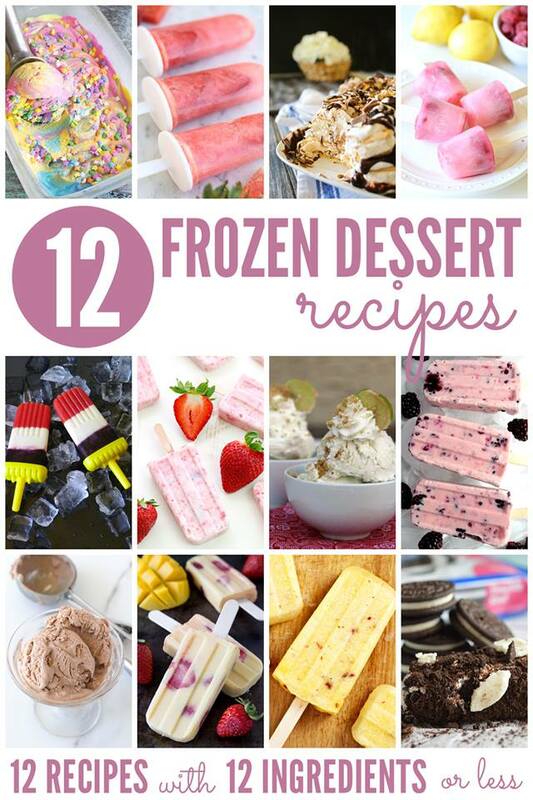 Definitely pinning this so I can make later! I totally think you should be a food photographer at a Magazine. I don’t eat this type of food anymore but your photography has me drooling. Thanks for linking up at Let’s Get Real Friday. I need this stat! YUM! Thanks for sharing at the #InspirationSpotlight party. Shared See you again soon. Just stopping by to let you know that this awesome post was picked as one of the features on the #HomeMattersParty Linky. 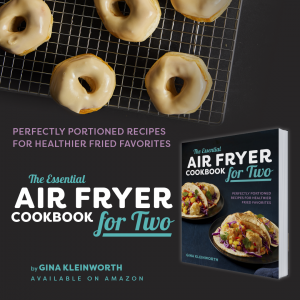 You can find at http://adventuresfrugalmom.com/home-matters-linky-party-92/. While you are there make sure to grab the I was featured button for your sidebar. Congrats on being featured and hope you will link up with us again.